Feel Good Moment & Monday Morning Musing: What is your sentence? Monday Morning Musing: Think "Now What"
Think "Now what..." rather than "If only...". This one is amazing! It makes me cry and laugh at the same time. I cannot watch this one without tears. I can only imagine what that was like for that mom. What an amazing moment. Monday Morning Musing: Stop rationalizing away your mediocrity! Stop rationalizing away your mediocrity. “I’m too busy.” “I don’t have enough money.” “I don’t have anyone to help me.” “I am not ready.” “I have too much clutter.” Blah, blah, blah. Know what you are really saying, “I’m too scared.” And you know what? That’s okay! Just claim it as fear and stop making excuses. See the fear and then see yourself beyond the fear. Get yourself feeling stronger and take your next step! You have a light inside of you and it is time to let it shine! I’m waiting...the world is waiting. So what is YOUR rationalization you are ready to own up to? I share mine if you share yours... :-) Don't worry, I went first. Check out the comments to read mine. We have ONE more spot available! Would love to have you! More information and to register. When was the last time you laughed this hard? LOVE this video! When was the last time you laughed this heartily? Great power lies in one small action. Great power exists in one small action. 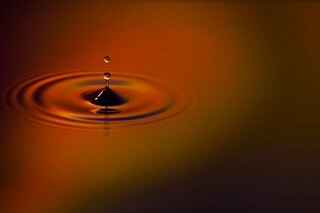 The ripple out affect will touch every corner of your life. What is one small thing you can commit to doing on a daily basis that will help you feel better? I guarantee when you adjust your trajectory by one degree, you will be in a completely new place a mile down the road. Come on! Pick one thing! Will you share it with us? Inspire us with what you are doing! I'll pick one thing, too! Join me in Mexico in March so I can inspire you directly! Love this! Watch from start to finish, breathe, and enjoy. Feel the peace seep into your pores.